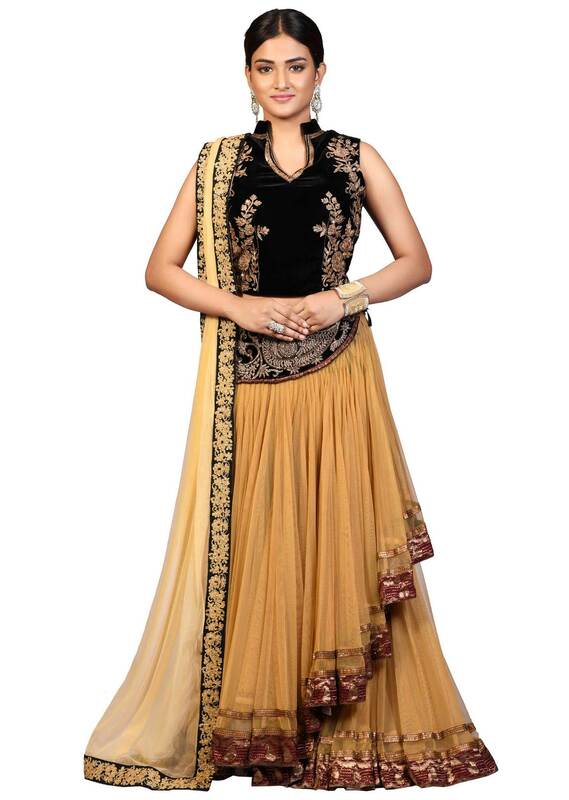 Beige lehenga featuring in net in wrap around style. Matched with contrast blouse in velvet with aari embroidery. It comes with mustard net dupatta.